If you were hoping Call of Duty: Black Ops 4 would include a solo campaign, you're going to be sorely disappointed. Sources speaking to Kotaku and Polygon claim the upcoming game will essentially be multiplayer-only, with a new battle royale mode being added to compete with games like PlayerUnknown's Battlegrounds (PUBG) and Fortnite: Battle Royale. The news signals a shift in Call of Duty's approach, which typically features a short single-player campaign on top of a robust multiplayer experience. Seeing as Call of Duty's fervent popularity usually surrounds the franchise's multiplayer, it's no surprise the next iteration will focus entirely on that experience. It was only a matter of time before battle royale fever hit a big title like Call of Duty or Battlefield. The mode has taken the gaming world by storm over the past several months, and it would be criminal for a game like Call of Duty not to compete against PUBG, which helped bring battle royale to the mainstream. There may be some mode that players can enjoy by themselves, such as Call of Duty's beloved zombie mode, but there won't be a solo campaign in the traditional sense. Apparently, development on a single-player campaign did begin, but it wouldn't have been completed in time for the game's release this fall. Which is a shame, because the single-player campaigns of Call of Duty: WWII and Battlefield 1 were a lot of fun. Really, it was inevitable before we saw our favorite shooters focus only on multiplayer. 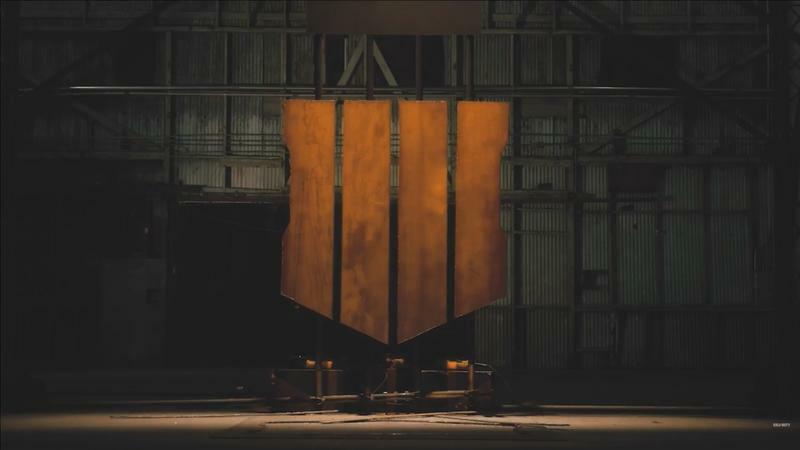 As for Call of Duty's take on battle royale, few details are known, though Activision is expected to reveal more at an event on May 17. Call of Duty: Black Ops 4 is scheduled for a release on October 12.